Costa Rica has an abundance of taxis. By North American or European standards, the cost associated with using a taxi is very inexpensive. During the dry season, you will not have any trouble getting a cab. Most Costa Ricans prefer to use the bus system during these months. In the rainy season it becomes much more difficult to get a cab. If it’s not raining, no problem. When it begins to rain, every one decides its better to take a cab than to get wet waiting at a bus stop. This means that instead of being able to get a cab right away, you may have to wait a few minutes. If you want to have a taxi pick you up at your house it is possible (be prepared to call the taxi company several times). While this option will work, it is much quicker and easier to go out to the nearest busy street and flag a taxi down. Officially, taxi drivers are required to use their meters. If your driver doesn’t turn the meter on, tell him “la maria por favor”. When la maria is switched on you will see in red digital numbers the cost of the first km in colones, currently this is 215. The cost then goes up per km. As long as you use bills of 1000 or less, the taxi drivers should have no problem giving you change. When you get ready to return home, it is advisable to call a taxi to get back to the airport for departure. Occasionally the host family will offer to take you to the airport. We suggest you offer them the same amount of money as you would pay for a taxi, approximately $18. We can also arrange for someone to pick you up at your home and take you to the airport. Traveling in San Jose is fairly simple using the bus system. Once you have learned the names of the various suburbs, you will find that using the bus system is easy and cheap. The typical bus fare ranges from 65 – 80 Colones. You don’t need exact change on buses, but bills of 5000 won’t be accepted and if you pay with a 1000 colon bill, you may experience bus driver’s revenge, a pound of coins or a wad of 50 colon bills. Throughout the city there are quite a few bus stops and the buses stop frequently, so you won’t have to wait too long to catch a bus. Most buses start running at approximately 5 a.m. and stop at 10 – 11 p.m. 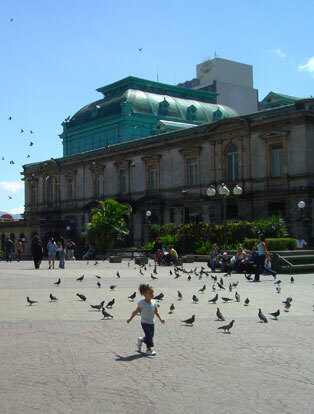 Most of our students tour the country every weekend in order to see as much of Costa Rica as possible (bring your weekend-bag!). A good and cheap way to travel is by bus. From San Jose, buses will take you almost anywhere in the country for a low price. If you can find a town on a map, chances are there is a bus going there. For the major cities, buses leave approximately every hour. 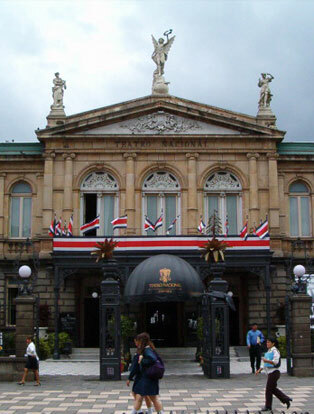 Costa Rica’s Tourist Board (the ICT), located under the Plaza de la Cultura (next to the National Theater in downtown San Jose), has a list of all bus schedules, which is updated regularly. ILISA also has a listing. Final note: It is always wise to purchase bus or plane tickets in advance. This is the only sure way to guarantee you a spot! Two airlines, SANSA and Travel Air, offer flights to many domestic destinations for around $50 one way. We can help you make reservations. Buy your ticket right away because both companies have a reputation for “losing” reservations that are not paid for. Although buses are cheap and convenient, they are not the most comfortable way in which to travel. You may have to stand in line for a while to get a seat. Once on your way, the trip itself may be quite long. If you don’t mind driving, you may consider renting a car with some of your fellow students. ILISA has a special deal with a Dollar Rent-a-Car agency, which offers good prices and excellent service for our students. Be advised that during the tourist season, advance reservations are a must. Contact Evelyn for help with car rentals. The way ticos drive is in sharp contrast to their normally peaceful nature. Driving appears to be one of the few accepted ways in which they can vent their anger and frustration. This should not deter you from exploring the countryside, just drive with a little more caution than you are accustomed to. When traveling by car be sure to have a valid driver’s license, credit card, and passport. All of Costa Rica is on central standard time, which is six hours behind Greenwich Mean Time. During daylight savings time in the U.S. (late March to late October) Costa Rica is on mountain time. ILISA has its very own tour desk on site, open Monday to Friday, 12:00pm – 2:30-pm. 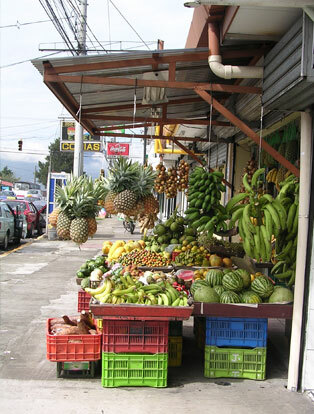 Jean-Pierre who runs it has negotiated some very good rates on hotels, car hire and weekend tours to all of the popular locations here in Costa Rica. So, when you arrive here, remember to say hello and let him help you with your travel plans. 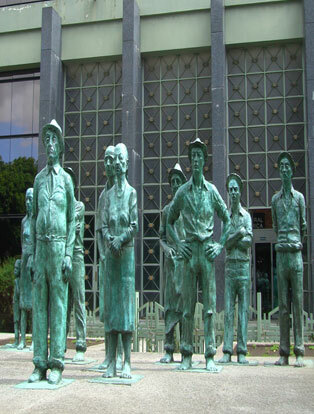 When traveling with a passport, citizens of the United States, Canada, and most Latin American and European countries are entitled to stay in Costa Rica for 90 days. They must enter the country with at least $300 and departure ticket. Citizens of some Latin American, Asian, African, and East European countries must obtain a visa from a Costa Rican consulate and pay a deposit upon entering the country, refundable when they leave. Check with the consulate nearest you for the latest information. If you have overstayed your tourist visa, you will need to apply for an exit visa, which costs about $45. You will also be charged around $1.50 for each month or part of a month that you stayed without a valid tourist card. Always carry your ID: While in Costa Rica, if you don’t want to carry your passport with you, get a copy of it made. Don’t go anywhere without identification! The tropical sun in Costa Rica is no joke. Take a trip to the beach and walk about for two hours without sunscreen and you will be sorry. We have seen the most hardened tanners come back from the beaches red as red, hurting, and with a humbled expression on their faces. Be warned that #8 sun-block simply isn’t enough. #15 will still allow enough tanning rays to sneak through to give you that healthy tanned look. During your stay at ILISA you will have a different teacher every week. This allows you to experience different voices, accents, and personalities. While your teachers will change, the methodology used will not! Teachers meet at the end of each week to coordinate the changing of the groups. After you have been here awhile, you may develop a preference for a certain teacher (especially if you are taking private lessons). We will try to honor your requests whenever scheduling permits it. No vaccinations are required for entry into Costa Rica. Check with your local health department for recommendations. The water in Costa Rica is safe throughout most of the country. There are a few places that are a little uncertain, such as the beach areas of the Caribbean. In these cases, it is wise to play it safe and drink bottled drinks and avoid using ice. As well as speaking with Jean Pierre, the best thing we can recommend is getting a copy of one of the guidebooks on Costa Rica. This will help you generate ideas and give information on how to proceed. As we mentioned earlier, the “New Key to Costa Rica” is usually the most updated and complete book on Costa Rica as well as the Lonely Planet guide. Other students will also be a good source of information and feedback. And remember that our office staff is available to give recommendations and help with reservations. Although we or our host families and drivers always check your arrival time before leaving for the airport to pick you up, there is a slight possibility that we may get caught in a traffic jam or that something unforeseen may happen. In the unlikely event that you don’t find anybody waiting for you … don’t despair! Just stand outside the exit doors with your luggage and wait for about 15 minutes while scanning the crowd and looking for the ILISA sign with your name on it. Try not to stand in the middle of a crowd because it will be harder for us to spot you. Do not stay inside the building because we are not allowed to enter it, and this would make it impossible for us to find you. If after 20 minutes nobody has shown up yet, we suggest you call the school (280-0700) or, if outside office hours, Thorwald, the Director, (273-5480) or (383-5875) or call Carlos Argüello (253-5359), the person who does most of our airport pickups. In case nobody answers, call the host family. Normally these actions will not be necessary. Please don’t take a taxi without informing anybody because you can be sure somebody is on his or her way to pick you up. In case your luggage is lost and you have to fill out the baggage claim forms, have a look outside and tell the person waiting for you that you have arrived but need to fill out some forms. Now DON’T WORRY.99% of the time everything goes smoothly. These notes are not meant to make you concerned, but to assure you that even if things don’t go smoothly at first, there’s always a happy end in sight! Please note that we can only guarantee pickups that are scheduled in advance. In the case of missed flights, severe delays or rescheduled flights, we will do our best to accommodate you, though in some cases that may not be possible.